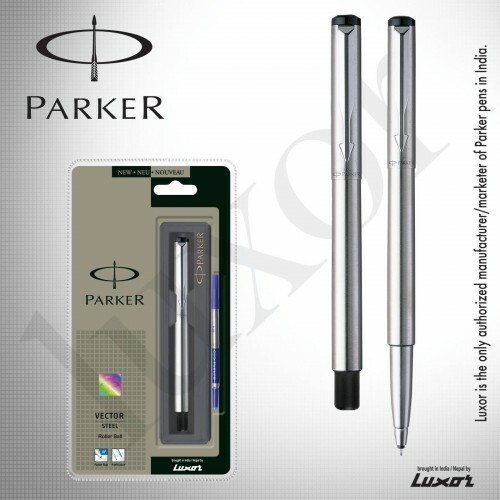 The Parker Vector Stainless Steel CT roller ball pen is one of the most elegantly designed pens available in the Vector Stainless Steel collection of office accessories. The streamlined body of the Parker pen narrows towards the writing end and provides a comfortable grip for you to write with. The chrome finish on the surface of the Parker Stainless Steel pen looks very appealing.